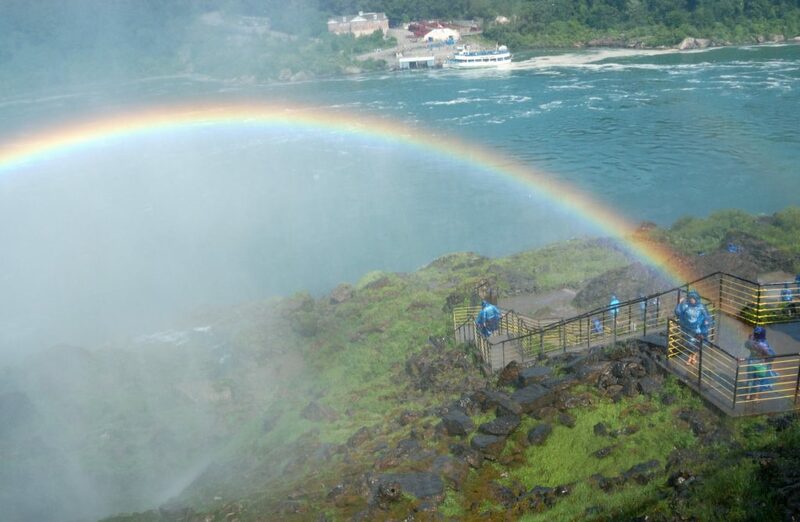 I visited Niagara Falls in June 2013. I traveled there from New York City with a tour operator (Tours4Fun). The trip also included a visit to the Thousand Islands archipelago, which is located on the Saint Lawrence River. Tour departure was scheduled at 8:00 a.m. from China Town. I had to get there from my hostel, located on the west side of Central Park. I planned my transportation from the hostel to place of departure in China Town a day before my trip. I decided to leave the hostel earlier, just in case something unexpected happened. The morning was warm and sunny, I entered the subway train and my trip has started. Everything was going smooth, but suddenly the train stopped at a subway station and it wasn’t going anywhere. I had to make a fast decision: to wait on the train or to move to the other line. As I had no idea about when the line will be operational, hence I decided to take the second option. I left the subway station and started running. After a while, I got to the nearest station that allowed me to travel in direction of China Town. I left the subway just a few minutes before scheduled departure of my tour and I ran to the meeting point. I had arrived on time, but the running was unnecessary, as the bus engine was started about half an hour later. My t-shirt was soaking wet from sweat, as I was running with all my luggage on my back. The trip consisted mostly of Chinese, besides me, there was a couple from Slovakia. Our bus left New York City and we headed to the state of Pennsylvania. After some time we had our first stop in Hallstead, which is located near the north border of the state of Pennsylvania. 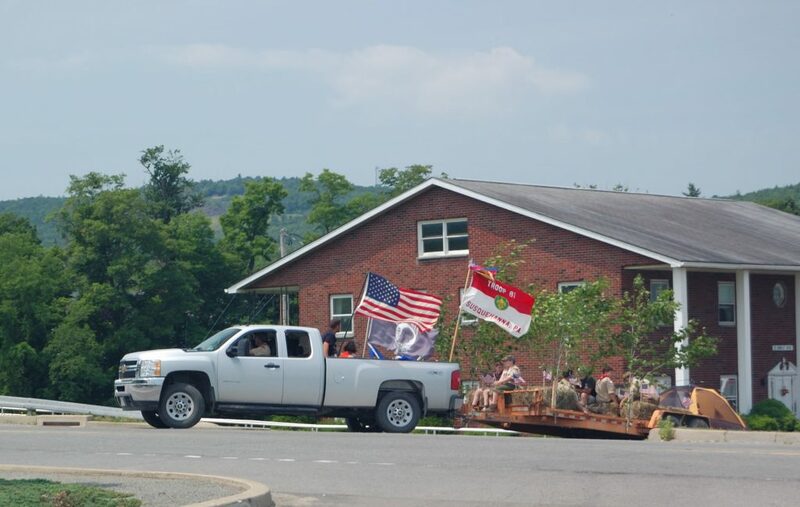 During our free time, I saw an unusual view – a platform with a group of scouts and a tent towed by a pickup truck. We left Hallstead, and after a short ride, we entered the State of New York. We headed to the village of Alexandria Bay, which is located in Jefferson County. The village of Alexandria Bay is located on the south bank of the Saint Lawrence River, in the Thousand Islands region. The Thousand Islands archipelago contains 1864 islands and stretches downstream Saint Lawrence River for over 80km from a north-east border of Lake Ontario. We arrived in Alexandria Bay about 3:30 p.m. and I was astonished by a number of motorcycles in the village. It seemed like all streets and all parking spots were taken. The internet search revealed to me, that it was an effect of an annually held event – “Thousands Islands River Run“. As we had some free time, I decided on walking around the village and taking a few pictures. Our free time ended and we headed to the pier. It was time to cruise the Saint Lawrence River. From our boat, we could see some beautiful mansions on the larger islands. Most importantly we saw the famous Boldt Castle. After the cruise we headed to a Chinese restaurant (bar? ), there we had an optional dinner. The food was delicious, and we could eat as much as we wanted. During the visit to the restroom, I saw an interesting inscription. We arrived in the City of Niagara Falls before 8 a.m. The city is located on the United States’ shore of the Niagara River. There is also a city of Niagara Falls located on the Canadian side of the river. Both cities are named after neighboring and famous Niagara Falls. Three separate falls make the Niagara Falls. 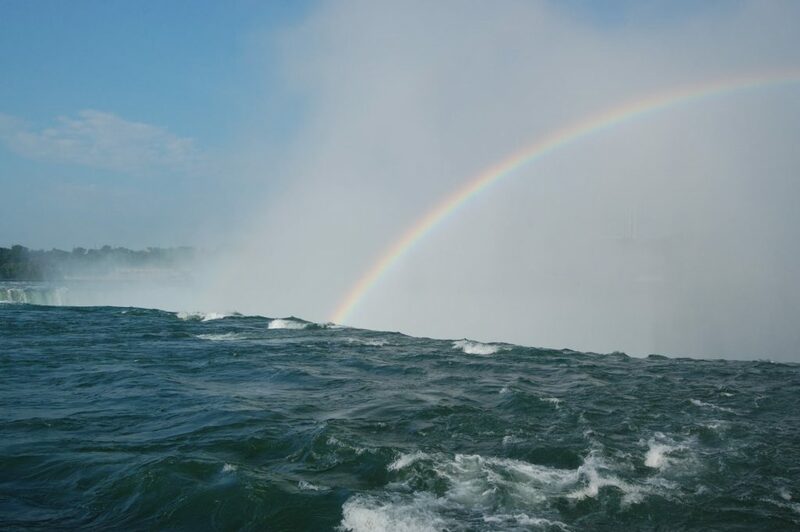 The largest of them is the Horseshoe Falls, which lies mostly in Canada. About 90% of the Niagara River flows through this fall. The other two are American Falls and Bridal Veil Falls, located completely in the United States. If you want to read interesting facts about the falls click here. 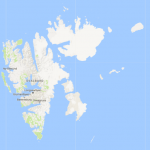 After arrival, we left our bus and we walked to Goat Island. From there we observed the magnificent Horseshoe Falls. The noise generated by the falling water was fantastic, in some ways it was similar to a thunderstorm. Additionally, the water particles present in the air have created a beautiful rainbow. 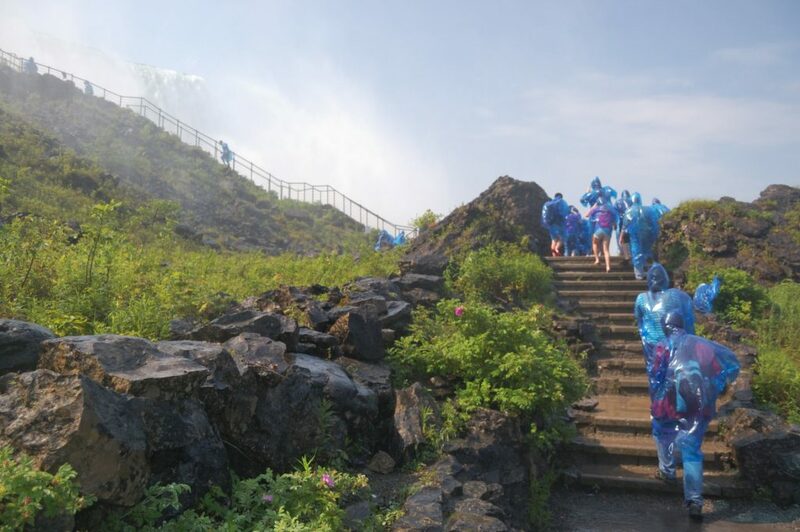 After some time at the Goat Island, we headed back to the mainland to visit the Niagara Falls Observation Tower. The tower is a great viewpoint, and it allows for observation of the American Falls. After admiring the landscapes we entered an elevator, which took us down to the boarding site for the Maid of the Mist. The Maid of the Mist is a boat that is used for tours in the Niagara Falls. The tour starts at the pier near the observation tower. The boat takes its passengers to the mist inside the Horseshoe Falls. After getting ashore I decided to climb the stairs located on the side of American Falls. I wish I had taken my flip-flops with me. In a few minutes my shoes were soaking wet, but the walk was completely worth of this little sacrifice.